There are many side effects of the pill: some as minor as nausea and weight gain, some as serious as blood clots. The estrogen in birth control pills can increase a woman's chances of developing a blood clot by up to four times. While the chances of women on birth control developing a blood clot are one in 3,000 a year, the parents of 21-year-old Fallan Kurek, who died after 25 days on the pill, claim doctors blame the pill for her death. Kurek's parents say she was prescribed an oral contraceptive in order to regulate her period. A few weeks later, she began experiencing breathlessness, along with pain in her legs and ribs. According to U.K. newspaper the Birmingham Mail, Kurek's parents took her to the hospital, where she was given an electrocardiogram (ECG) and told that she had most likely bruised her sternum. Her parents say Kurek was prescribed ibuprofen and paracetamol (a drug used to reduce fevers), and told to see her doctor if her symptoms returned. Four days after her hospital visit, Kurek's parents, Julia and Brian, say they woke her up to check on her. "I got to the bottom of the stair and she just went limp in my arms." Paramedics arrived and rushed Kurek to the hospital after she stopped breathing. It was there that a scan finally revealed a blood clot on her lung that caused the right side of her heart to become inflamed. After three days in the ICU, a CT scan revealed that Kurek was clinically brain dead. The next day, May 14, Kurek was taken off life support. According to the Birmingham Mail, Kurek's parents claim that it was a paramedic who first suggested there might be a connection with the pill. “While they were working on her someone came in to talk to me,” Julia Kurek said. They asked me whether there was any heart problems in the family, or if Fallan had taken drugs – definitely not. The third question was, "Is she on the pill?" I said, "Yes, is that relevant?" He said, "We know what it is" and off he went. News of Kurek’s death comes days after the story of Jordan Ward, a 26-year-old who suffered a stroke caused by her birth control. While Ward was lucky enough to have the blood clot found and removed without suffering any neurological damages, these two stories are a reminder of the risks of birth control. The chances of developing blood clots are low, but they're more likely in people over 35 or people who smoke or have a history of heart disease. They're uncommon, but serious enough to require more open discussion between doctors and patients on birth control risks, especially since birth control pills are the leading contraception method among women in the U.S. According to the Telegraph, a spokesperson for the Medicine and Healthcare products Regulatory Agency, the U.K.'s governing body for drug regulation, reiterated the safety of the pill. 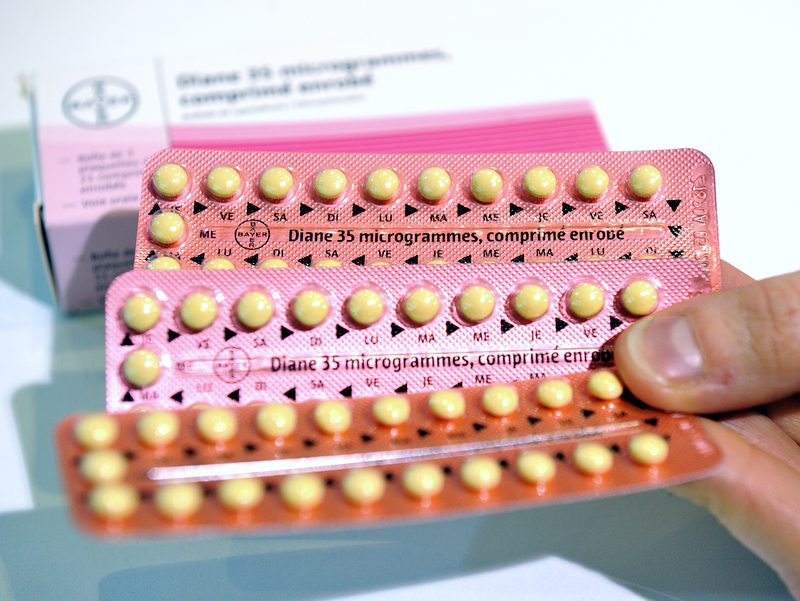 The safety of contraceptive pills was reviewed at European level in 2014 and the review confirmed that the risk of blood clots with all contraceptives is small. The benefits of any combined hormonal contraceptive far outweigh the risk of serious side effects – prescribers and women should be aware of the major risk factors for blood clots and the key signs and symptoms. Bustle reached out to Consilient Health, the maker of the pill in question, for comment, and will update if they respond. The connection between the pill and Kurek's death remains unproven, but the South Staffordshire coroner is performing an inquest. Kurek's parents, who believe the pill caused this tragedy, hope their loss encourages women to learn more about the risks and benefits of birth control pills.